3 Dec 2007. With its being the December flying season, oil prices at record highs and massive demand from stranded Nationwide airline passengers, we were surprised that an airline announced a summer sale; but yes, it's happened so of course we'll report it. The Mango sale was announced this morning. 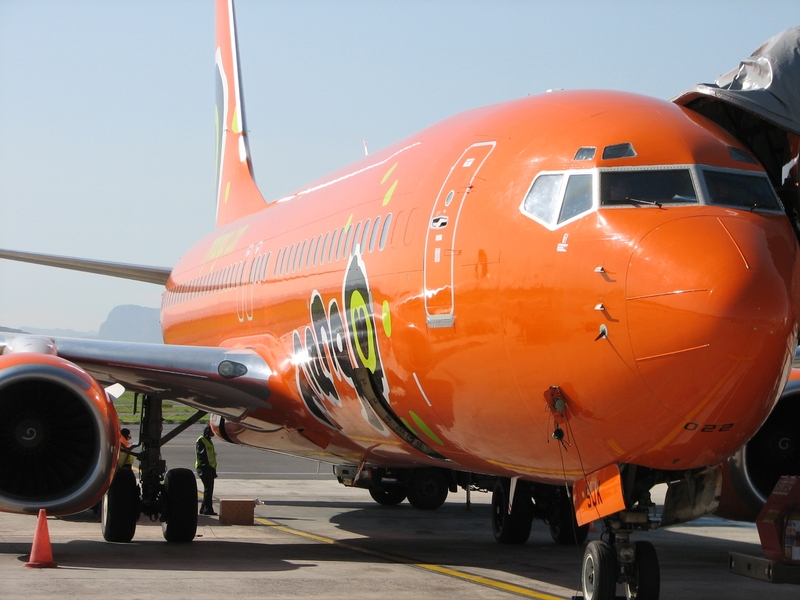 Flights from Johannesburg to Durban from R99, flights from Johannesburg to Cape Town from R199, flights from Cape Town to Durban from R199 and flights from Cape Town to Bloemfontein from R199. We're concerned that the sale will turn out similar to last time and dissapoint many - so be warned (in the meantime we hope that Mango have either got themselves sorted out or are wearing their kevlar suits for any backlash!). Through experience, we know that you've got to read the entire Mango advertisement - right at the bottom they placed this condition - "Special valid only when booking a return flight". We've written before how this should be pointed out more prominently. Good luck, and we look forward to hearing readers' comments.